Below is a step by step guide for an easy Valentine’s craft with preschoolers or toddlers. This Post May Contain Affiliate Links. For my full disclosure policy click here. I love my contact paper. I put up a piece on the window and let my daughter stick things to it all the time. Here’s a fall themed contact paper leaf craft we did. Since we just had a big snow storm and it’s too cold to go outside I thought we’d brighten things up with a Valentine’s craft for my toddler. Make some hearts. If you have a printer at home I suggest printing off a stencil like this one (use the 5” and 4”). Or you can free style a heart like I did using this method. Cut up pieces of tissue paper. I used 4 colours and cut them into squares. I didn’t worry about making them the same size. I find taping the corners down and then peeling the back off easiest. Then I tape down all the sides once the sticky side is exposed. Place your hearts on the contact paper. Let your little one place pieces of tissue paper inside the hearts (if they put them everywhere its totally ok!). Cut out the hearts and tape them to the window to make heart suncatchers. You can tape them either way – ie. sticky side in or out – whichever you prefer. Hope you enjoy making these super cute Valentine’s Day Craft Suncatchers! We did! Welcome to Mom in the Six! Hi! 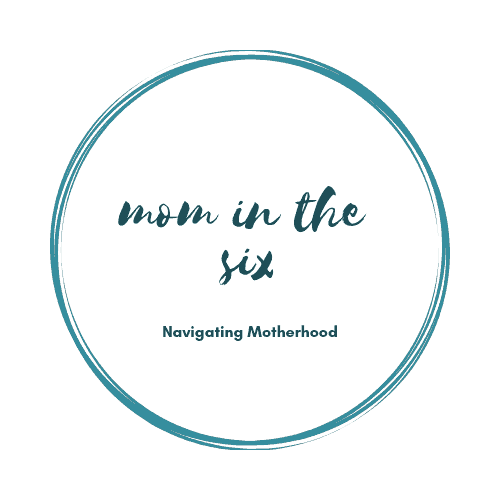 I’m Christina, a first time mom navigating motherhood in Toronto, Canada. I truly believe it takes a village to raise a child, so I decided to start blogging to share my ups and downs and nuggets of wisdom in hopes it helps someone going through the same thing. 10 Solutions for when your baby pees through their diaper at night. Toddler tips too!